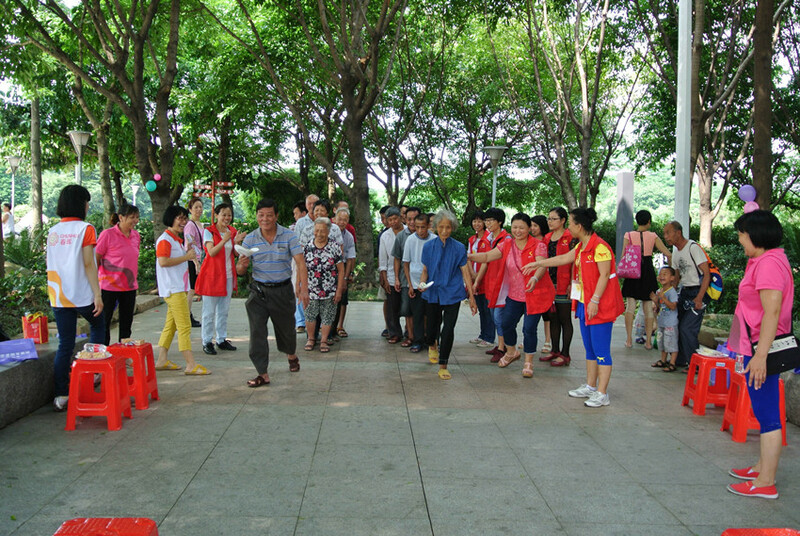 For the upcoming Dragon Boat Festival, the Swin Stock company held an activity named “Our Festival·Dragon Boat Festival, Take Care of the Old Man Volunteer Activities” at Beijiao Park on 30th, May. 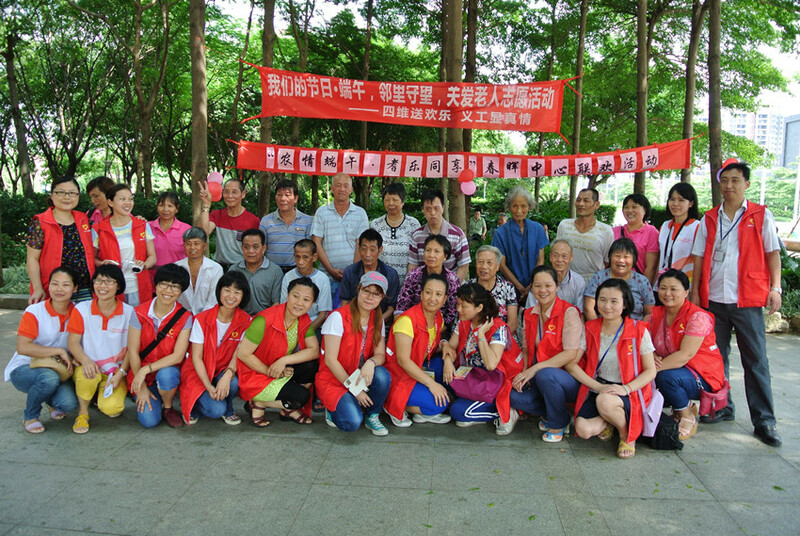 The staffs of Swin company celebrated the Dragon Boat Festival in advance with the elderly community people. The purpose of this event is to enrich the spiritual and cultural life of the community. This event was going to build a communication platform for the corporate and social volunteers. In addition, this activity helps to deepen understanding between the community and the old. 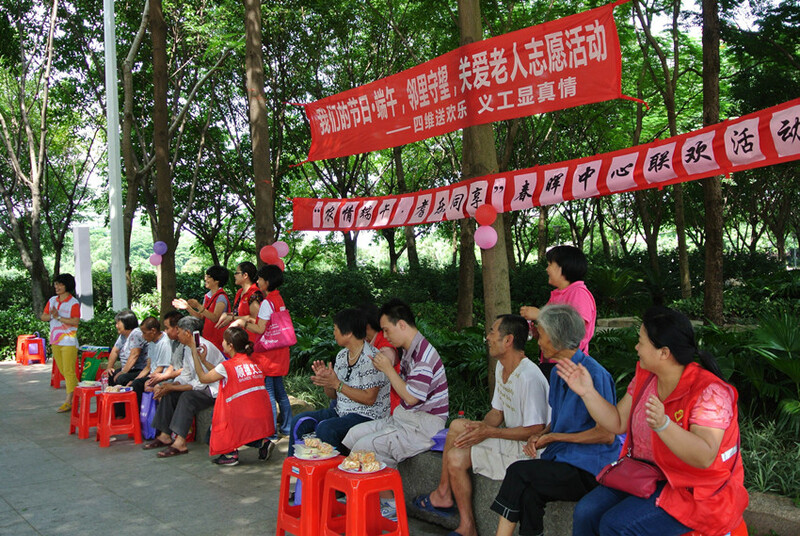 The old people enjoyed the happy and unforgettable festival. On that day, the sun was shining and the nursing assistants accompanied with the old to Beijiao Park earlier. The fifteen old people talked to the volunteers and tasted the candy. The scene there is relaxed and harmonious. The first activity is all the persons do morning exercise and the motion is so dynamic. 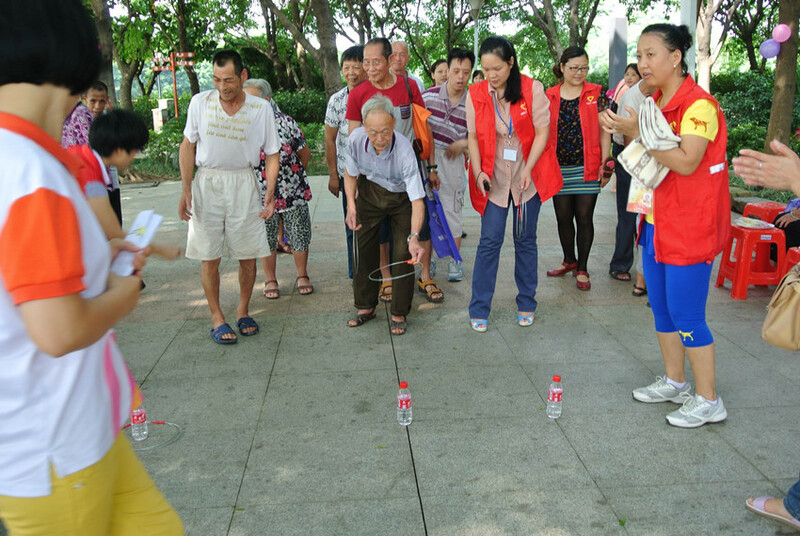 Then the elderly participated in games, including sets of circles, working together to move the ball and making friends, etc. In the game, they made friends each other and everyone could get a wealth of prizes. It was a warm and harmonious scene. Each elderly were very happy and enjoyed the moment. The following activity was the elderly breathed the fresh air of nature and enjoyed a wide variety of flowers and trees in the accompany with volunteers. At last, all the staff of the organization had lunch together and more in-depth communication with the elders. This event ended in laughter. Uncle Zhang also said that this event was very well run and he was very happy! He sincerely thanked the volunteers and business leaders for their care and companionship. On this traditional festival, the elderly were accompanied with the volunteers and their children, their life was not lonely any more. The center will make more kinds of activities in Beijiao Town as more as possible. 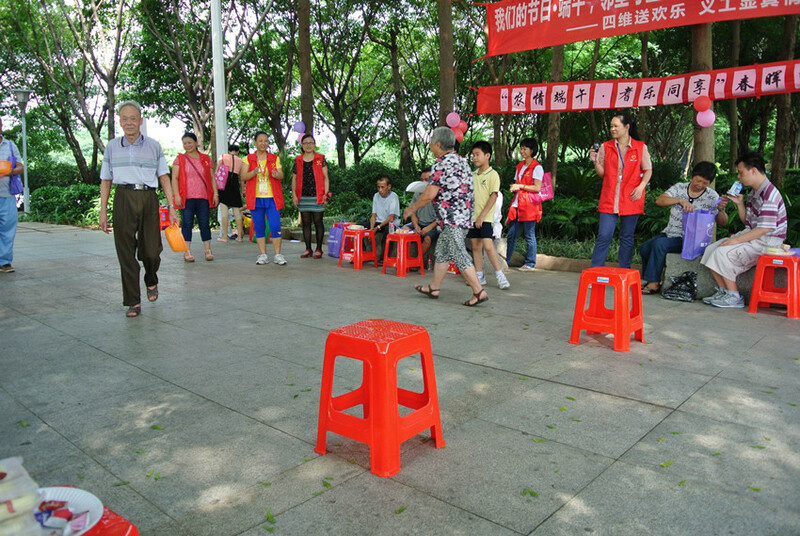 This event let the elderly enjoyed the wonderful later life.